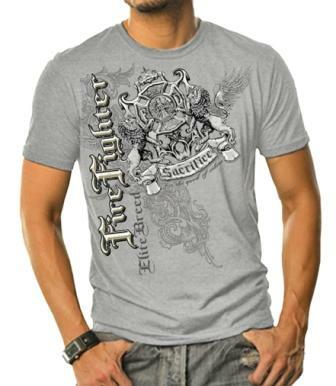 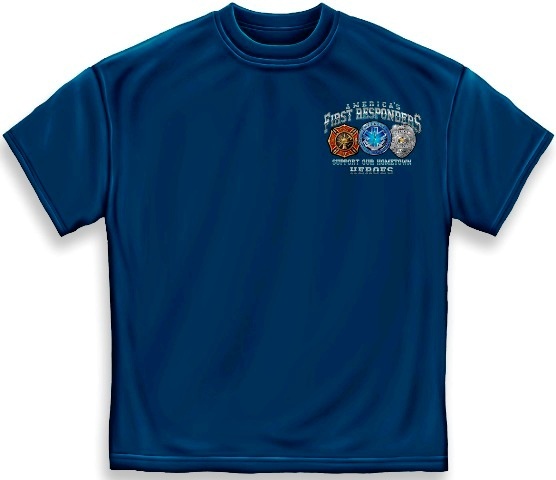 Navy blue short sleeve Gildan 100% cotton tee shirt. 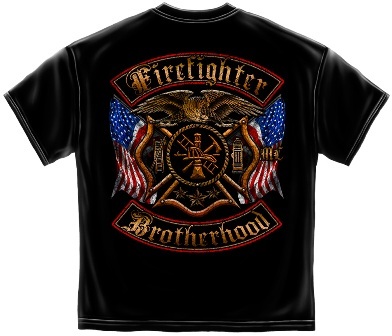 Includes the Maltese Cross, Police Badge, and EMS Star of Life. 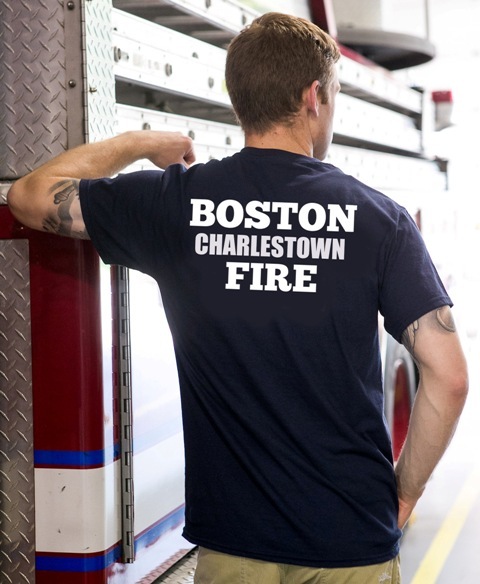 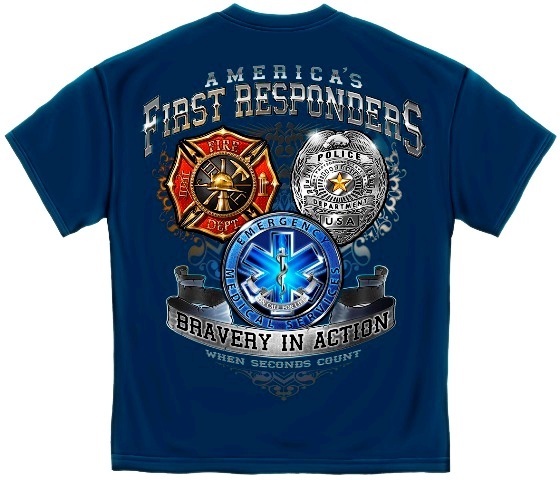 "Support Our Hometown Heroes" on the front, "Bravery In Action When Every Second Counts" on the back. 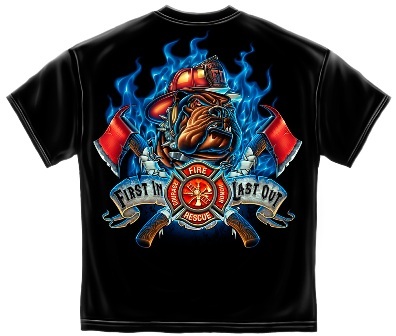 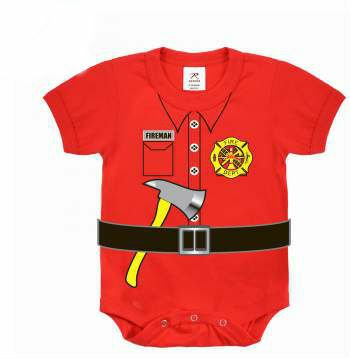 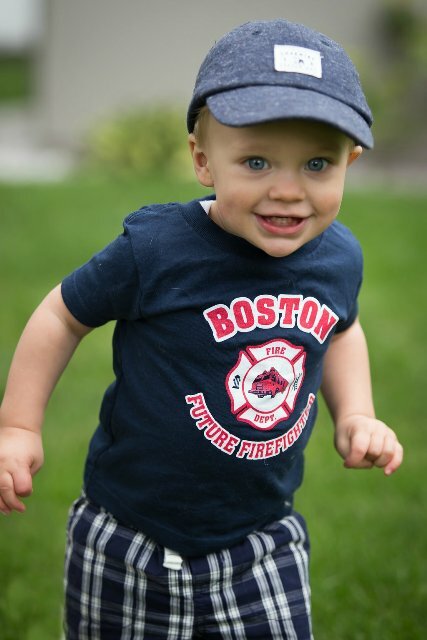 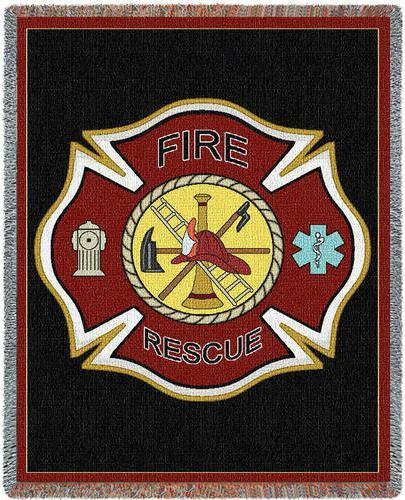 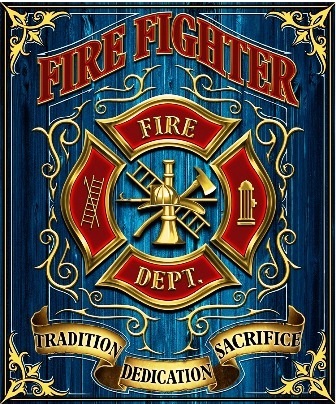 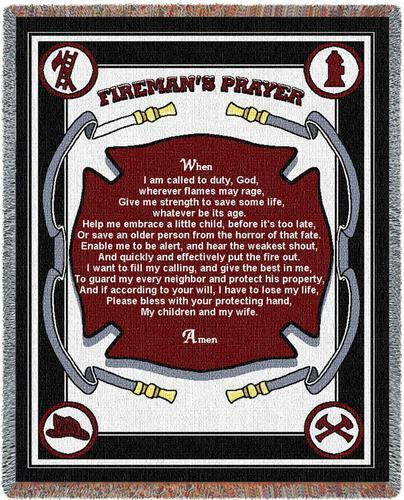 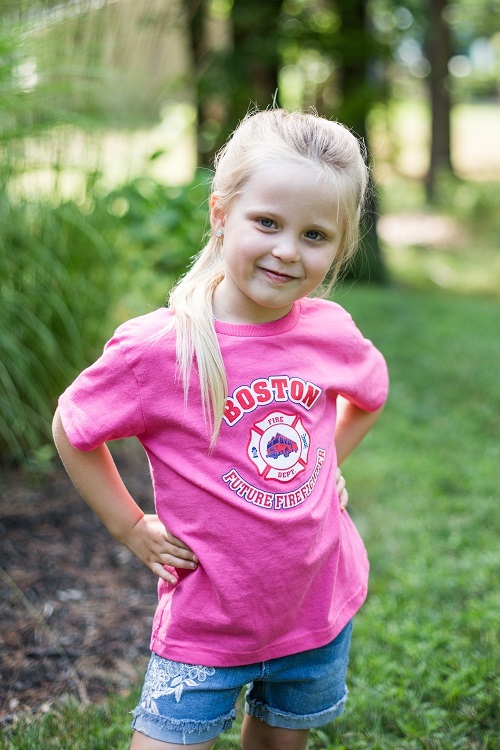 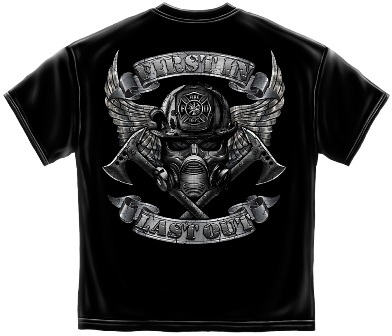 Perfect for any firefighter, law enforcement officer, or EMS worker!